Joe Cookston has worn a variety of hats in the Church of God in his lifetime of ministry. Currently he’s most well-known across the Movement for his leadership of CARE—the Clergy Advocacy and Resource Effort. But he’s also served faithfully in a number of important areas, including the local church. 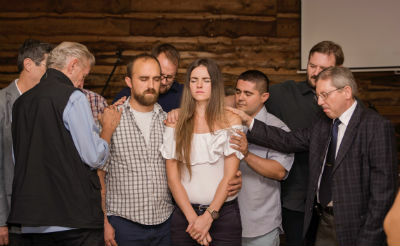 One role may not be as familiar to many in the Movement, and that is the position he holds as nonresident board member for the Church of God Hungary. In August and September, Joe and his wife Merry visited Hungary, a place that has become quite familiar and beloved by the ministry duo. Joe and Merry have since returned from the encouraging experience, blessed to report on the opportunities God is opening up in the Eastern European nation. In 2006, while on staff at Salem Church of God in Clayton, Ohio, Joe was pursuing a doctoral research project through Trinity Evangelical Divinity School. The research centered on non-formal education approaches for pastoral training in emerging countries after the fall of the Iron Curtain. While on a sabbatical from Salem, Joe and Merry went for the first time to Eastern Europe. The plan was to visit six Eastern European ministry training centers to observe and learn how the Protestant church equipped pastoral leadership with the absence of formal training institutions. In a region where networking was limited after the fall of the Iron Curtain, the prospect was intriguing and the process fascinating for Joe. It was during this experience that Joe first became acquainted with Church of God Hungary. A few years later, Three Worlds, our Church of God missionary network in Europe and the Middle East, invited Greg Wiens of Healthy Growing Churches to go and perform an assessment with the leadership of Church of God Hungary. At the same time, Greg was also conducting similar assessments with the Salem staff, where Joe was executive pastor. After working with Joe at Salem, Greg asked if he and Merry would walk alongside the board of Church of God Hungary, helping to build sustaining infrastructure, encourage the leadership, and build relationships. 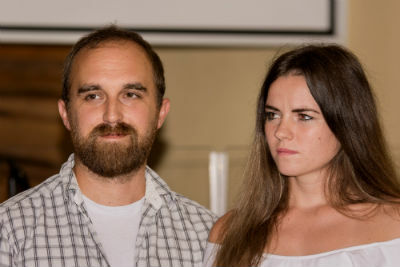 Church planters Hercze László and Día. Joe Cookston has lived out that principle with intentionality and consistency as he’s maintained these relationships. 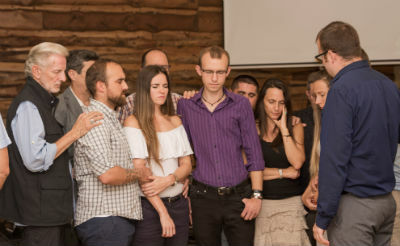 Regular conversation on the phone, online, and periodically in-person, have proved his love for the people and the leaders of Church of God Hungary. So, when the opportunity came again this year for increased investment, he had to take it. Kiss (pronounced Kish) Peter, with the family name written first in Hungarian style, is the lead pastor of Church of God Hungary. The church has grown and strengthened to the point that it was ready to multiply. Grateful for support from so many partners, including Three Worlds; Healthy Growing Churches; Fairfax Community Church; First Church of God in St. Joseph, Michigan; and Parkgate Community Church in Pasadena, Texas; Church of God Hungary is well-positioned for a bright future. Facilities are multi-functional, the congregational makeup spans the spectrum of ages, and the talented worship teams include teens and young adults in their twenties. Not only did the church just commission a new plant, but they’re already looking to do another one! Prayer of commissioning for the church plant. The week following the commissioning could have taken a slightly more somber tone. After all, the church had just released six vibrant and gifted young adults into the Lord’s service. But, God had other plans, and it was exactly the kind of affirmation the congregation and its pastor needed to keep pressing on. The Sunday after the commissioning, three new families showed up! Learn more about the ministry of the Church of God around the world at www.chogglobal.org. This entry was posted in All Church of God and tagged 3W, 3WLN, assessment, board, CARE, Church of God Hungary, church planter, church planters, Commissioning, de-churched, Eastern Europe, Europe and the Middle East, Europe-Middle East region, Fairfax Community Church, First Church of God, global, Greg Weins, Healthy Growing Churches, HGC, Houston, Hungary, Joe Cookston, mentoring, Michigan, missions, Parkgate, research, Rod Stafford, society, St. Joseph, strategy, Texas, Three Worlds, travel, unchurched. Bookmark the permalink.